There are two basic types of valves used with gases; diaphragm packless and packed. Diaphragm, packless valves are used for on/off control or rough flow control in high purity applications. They are designed using a metal diaphragm to seal the gas cavity from the valve stem threads. 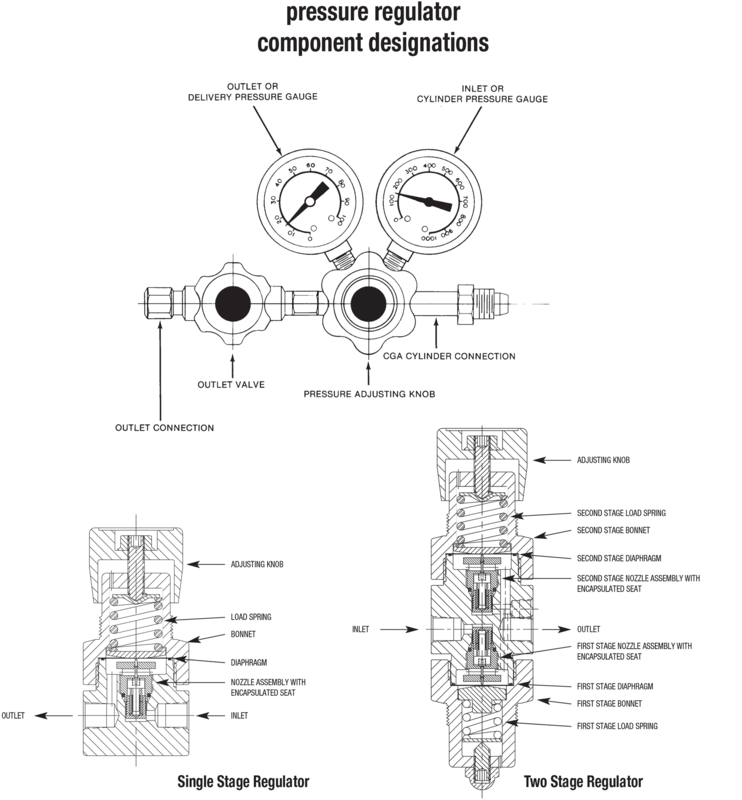 Packed valves are designed with a packing gland that creates a seal on the valve stem. This packing may be above or below the threads of the valve, depending on the intended application. A cylinder scale is used to monitor the contents of a liquefied gas cylinder feeding a critical batch operation where a lack of gas during the run would cause the batch to fail. Cylinder scales are designed to provide a positive indication of the amount of product remaining in the cylinder. Two types are generally offered, mechanical and electronic. Electronic scales offer the added benefit of a low weight alarm and relay contacts to operate accessory equipment. Both types are offered in this catalog.